I have been the city of Chicago for nearly two months now. As an exchange student, I still feel fresh at UIC and feel that UIC could give me different surprises every day. I really enjoy my life studying here at UIC. The environment also makes me feel good. When fall comes to Chicago, the scenery at the University changes. I was surprised one day coming to the campus to see the scenery. 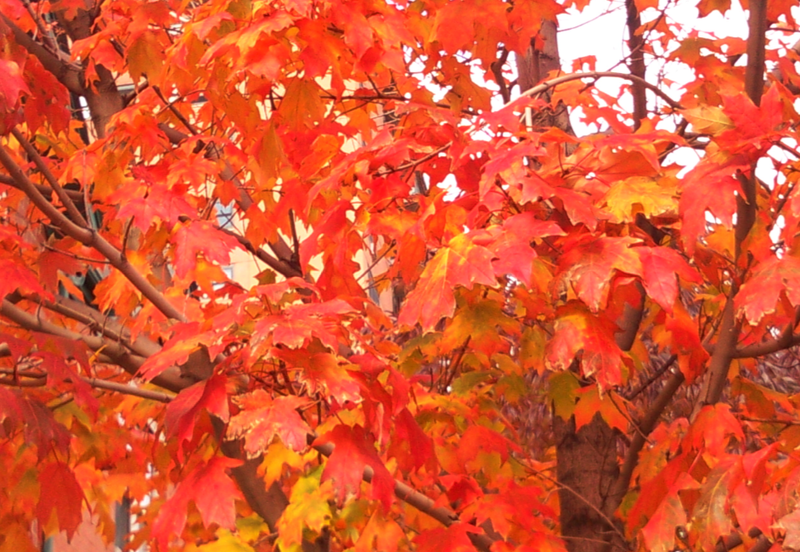 Leaves turn red or yellow, but some still stay green. When wind comes, leaves fall down like raining leaves. What a nice day! Looking at students walking by, sitting on the grass, reading in the sunshine, this is what I want for college life. I realize that Life IS Made Simple and beautiful just walking on the campus! I hope you enjoy the photos I’ve taken. I hope you enjoy walking on the campus and happily starting a new day.